THIS PAGE IS IN PROCESS OF DEVELOPMENT. CHECK AGAIN SOON (to see the progress). Douglas R. Anderson Doug Anderson is the Chair of the Department of Philosophy and Religion at the University of North Texas, which is home to the leading graduate program in Environmental Philosophy in the US. 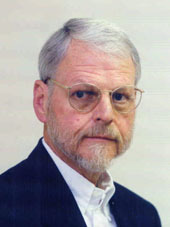 Previously Dr. Anderson has held professorships at Southern Illinois University Carbondale and The Pensylvania State University. He is author of many books and articles and prolific songwriter and performer of Americana music. 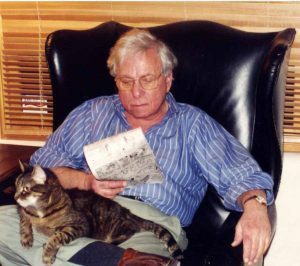 His extensive collection of books in American Thought include large parts of the estate of Warren Steinkraus, and a number of book that were given him by Carl Hausman. 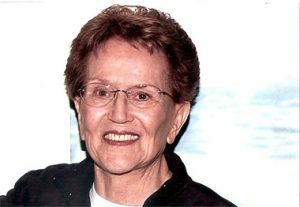 Jo Ann Boydston (1924-2011) was a member of the Choctaw Nation and took degrees from Oklahoma State University, and Columbia University, and was elected Doctor of Humane Letters honoris causa by Indiana University. Before coming to Southern Illinois University Carbondale in 1955, she taught at Oklahoma State, Columbia, and the University of Mississippi. Beginning in 1966 she was Director of the Center for Dewey Studies, overseeing the publication of the monumental 37-volume critical edition of The Works of John Dewey. She edited many other related works and was regarded as one of the finest critical editors of the 20th century. The books held at AIPCT are mainly in Dewey and American pragmatism. Robert S. Corrington (b. 1950) is Henry Anson Buttz Professor of Philosophical Theology at Drew University in Madison, New Jersey. 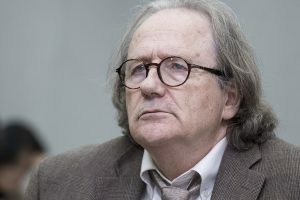 He is author of many books in philosophy, theology, semiotics, psychology, and experimental autobiographical and auto-ethnographical studies. The annual international conference in ecstatic naturalism is dedicated to the study of Corrington’s ideas and the furthering of his kind of naturalism. 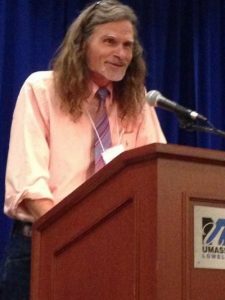 As founder of the “ecstatic naturalism” movement, Corrington has integrated the ideas of historical and contemporary thinkers, from Plato, Spinoza, and Schopenhauer to Josiah Royce, C.S. Peirce, C.G. Jung, Wilhelm Reich and Justsus Buchler (among others) into a comprehensive and original perspective on all of the basic questions of being, non-being, and human experience. His endowment of books to AIPCT has especially enhanced the holdings in Semiotics and Philosophical Theology. 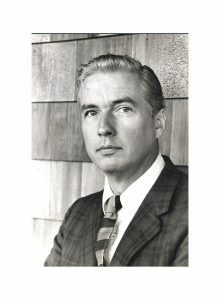 John Howie (1929-2008) was Professor of Philosophy at Southern Illinois University Carbondale from 1966 until 1985. He took degrees from Vanderbilt, Emory, and Boston University. He was the author and editor of numerous books and published many articles in American idealism, especially William Ernest Hocking, and ethics. He taught in the Honors Program at SIUC for many years. He was an ordained Methodist minister who took a difficult stand for racial integration and civil rights while serving three churches in the South Carolina lowlands during the 1950s. The story of John and Beverly Howie has been recorded in an award-winning book by Stephen Howie entitle The Bluffton Charge. Robert C. Neville, Senior Fellow of the AIPCT, is Professor of Philosophy and Theology at Boston University. He has served as Dean of the School of Theology at Boston University, as well as Dean of Marsh Cahpel (leading to four volumes of published sermons). He previously held professorial appointments at Fordham University and Stony Brook University, where he was also Dean. He is the author of over twenty books in systematic theology, philosohy of religion, axiology, metaphysics, ethics, and theory of knowledge. 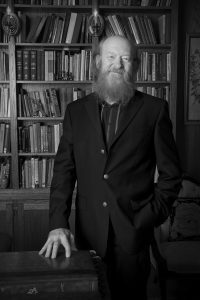 He has served as president of many scholarly organizations, including the Metaphysical Society of America and the Institute of American Religious and Philosophical Thought (IARPT). Ahron Opher (1911-2002) was born in Israel and emigrated to the US in 1929. He took degrees from teachers College of Jerusalem, City College of New York, and advanced degrees from the Jewish Institute of Religion (NYC) and Herbrew Union College (Cincinnati). He held a number of progressively more important rabbinical positions in New York, New Jersey, Johannesburg (South Africa), Chicago, California, Kansas, and Florida. He authored numerous books and articles and taught at Hebrew Union College (NYC), the College of Jewish Studies (in Chicago and in Los Angeles), and at Park College (Parkville, MO). 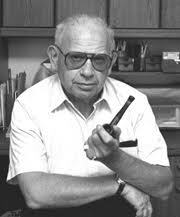 His books represented at AIPCT are mainly in Judaic studies and American religious thought. W. Creighton Peden (1935-2016) Creighton Peden was Fuller Callaway Professor of Philosophy at Augusta State University, where he taught from 1965 until 1990. He took degrees from Davidson College, the University of Chicago, and St. Andrews University (Scotland). He was author of many books and articles and co-founded the Journal of Social Philosophy and the American Journal of Theology and Philosophy. He founded the Highlands Institute of American Religious and Philosophical Thought and served as the President of that distinguished group for over twenty years. His books held at AIPCT, given to us by his daughters, are primarily in American religious thought, systematic theology, and religious humanism. George Kimball Plochmann (1914-2014) Kim Plochmann was Professor of Philosophy at Southern Illinois University Carbondale from 1949 until his retirement in 1983. he took degrees from Columbia and the University of Chicago, served in the US Army as a non-comissioned officer during the full duration of the Second World War. He taught at St. Lawrence College and the University of Chicago’s Roosevelt College, as it was then called, before coming to SIUC. 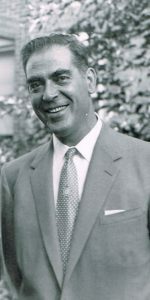 He was the author of many books and articles, and in 1957 was among the principal founders of the SIU Press. 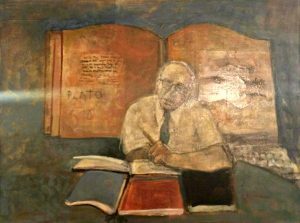 The books endowed upon AIPCT by his spouse, the artist Carolyn Plochmann, cover the whole field of the history of philosophy, especially ancient thought, logic and mathematics, and American thought. The portrait at left was painted by Carolyn Plochmann and hangs in the Institute. Howard Radest (1928-2014) was one of the most important leaders of the Ethical Culture Society and the American Ethical Union. He took degrees from Columbia University and The New School of Social Research and was professor of philosophy at Ramapo College, of the New Jersey state university system and also taught for the University of South Carolina’s brach nearest his retirement home in Hilton head, SC. He was co-editor of The Humanist with Paul Kurtz and was the author of many books and articles. He was a leading intellectual force in medical ethics and in numerous humanistic organizations, including the Institute of American Religious and Philosophical Thought (IARPT). The holdings, given to AIPCT by his son Michael, include extensive volumes in American humanism, Ethical Culture, Judaic studies, and applied ethics. Charles M. Sherover (1922-2005) was Professor of Philosophy at Hunter College, City University of New York, with visiting appointments at Emory University and St. John’s College, among others. He served in the Second World War in Military Intelligence operations at The Presidio in San Francisco. He took degrees from Oberlin College, Northwestern University, and New York University. He authored many books and articles, especially in the philosophy of time, social and political philosophy, and Continental philosophy. He translated Rousseau’s Social Contract and was an important leader in the Pluralist Revolt of the 1980s. The books held at AIPCT are concentrated in the areas of modern philosophy, Kant, Chinese philosophy,and classical American thought. H. S. Thayer (1923-2008) was Professor of Philosophy at the Graduate Center of the City University of New York. During his distinguished career he held appointments at Columbia University, City College of New York, and the Institute of Advanced Studies at Princeton. He took degrees from Bard College and Columbia University. He was a Guggenheim Fellow and author of many books and articles on all aspects of American philosophy, especially pragmatism. The books from his estate are mainly in pragmatism and American philosophy, but also through him the AIPCT holds a number of volumes from the collection of his father, Vernon Trow Thayer (1886-1979) who was a prominent philosopher of education and among the earliest advocates of Deweyan progressive education. The AIPCT holds some 35,000 volumes. There are also papers and correspondence donated by numerous individuals. The collection is still being processed and catalogued. One mission of the AIPCT is to digitize rare materials and also more common books published by American authors between 1923 and 2000. These books are copyright protected and require a “good faith search” for the copyright holder. We will undertake good faith searches and document them publicly as we put materials up on this website.